Three Mpreg Stories in one set!Enjoy three alpha omega romance Mpreg books in one set. 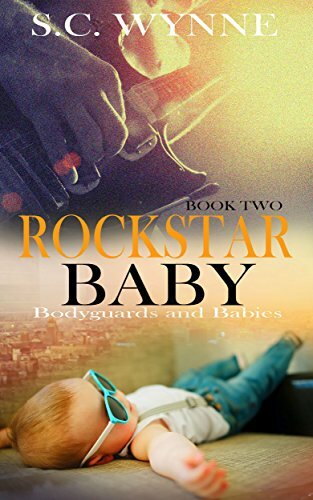 My Omega's BabyEnemies to Lovers.Blade Carr and Wyatt Smith are bodyguards from rival agencies who can’t stand each other.Blade is a younger omega who thinks, Wyatand each other. Riley West is an alpha whose music career is exploding. While he has millions of adoring fans, he also has a secret that makes it impossible to live his life how he’d like; he’s still reluctantly in the closet at the urging of his longtime manager. Three years of a grueling tour schedule have made him lonely and yearning for something more than just stolen one night stands. He wants to come out and take a chance that his fans will still support him. Non-Shifter Mpreg Romance. Enemies to lovers. Pierce MacPherson is a solar eclipse omega with a chip on his shoulder. He was in a horrible relationship where his alpha sold him to other alphas for their pleasure, and now that he's free, he definitely has a thing against alphas. A sheltered Omega:At first glance, Harley Day has everything: a prestigious Omega-only school, a rich fiance, and his whole perfect future planned out for him. But when a gorgeous jerk of an Alpha crashes into his life one night, the undeniable sparkhe undeniable sparks between them make Harley think that maybe perfect isn’t really what he wants. Bastion thought this bodyguard gig would be an easy job: guard the spoiled rich Omega, get the cash he needs, and move on with his life. But as he learns that Harley is more than just a pretty face, the Alpha finds himself torn between what he needs and what he desires. The spark of attraction between Harley and Bastion grows to a blaze of heat, but they each have obligations that threaten to keep them apart. Secrets, lies, and scandal could ruin them both… or forge a bond that will last forever. Author’s note: The Omega Academy is a 43k word standalone with no cliffhangers and a happy ending. Expect Alpha/Omega social dynamics, male pregnancy, knotting, and sweet and steamy scenes between two gorgeous men. Enemies to Lovers.Blade Carr and Wyatt Smith are bodyguards from rival agencies who can’t stand each other.Blade is a younger omega who thinks, Wyatt, a slightly older alpha, is arrogant and disrespectful. Wyatt believes Blade is nothing but a cocky thing but a cocky punk. But when Wyatt receives a death threat, his boss decides the last place anyone will look for him is at Blade’s house.